The Purge changes a lot of lives, mostly for the worst if you’re not from the right part of town. Senator Charlie Roan (played by Elizabeth Mitchell) knows this all too well as she is the sole survivor of her family’s massacre on this fateful night many years ago. Now in a position to become the President of the US, she is determined to put an end to this grizzly holiday once and for all. Facing opposition from those in power, she’s now in a position to fight to survive on the streets of Washington, DC, just as the latest Purge get underway. She will need the help of her head of security, Leo Barnes (played by Frank Grillo), to stay alive during the next 12 grueling hours of mayhem and insanity. I thought Grillo was great in Purge 2, so I was glad to see him return. I think he should become the face of this franchise at this point. It helps to have long running characters that people can become invested in. It was good to see his character managed to be able to overcome his own demons. The concept is so out there and the film is so self-aware that it’s easy to sit back and see where this ride takes you. I like that for every sequel they continually try to raise the stakes. The Purgers are a little more elaborate in their ways of killing. The script isn’t exactly brilliant but they find a way to break up the “serious” tone with some pretty funny lines. Sometimes the acting came off as a little hammy. Not from the main cast for the most part, but from some of the others. I felt like Senator Roan’s character was a little unrealistic and too idealistic at times. For what she’s been through I thought it would make more sense for the character to have become a damn near surgeon with firearms and other weapons, if only from a self-preservation point of view. I think there was a missed opportunity for her to be more badass and less borderline annoying depending on the scene. While it didn’t necessarily kill my enjoyment of the film, I could call certain deaths from a mile away. Predictability doesn’t make or break film for me but it is a weakness. 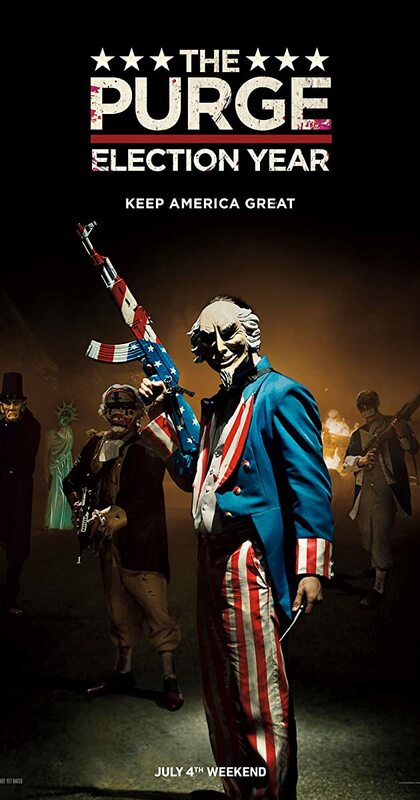 Overall: I think Purge 2 remains my favorite movie of the franchise, but I’m impressed once again at what they can do with their microbudget with these films. If it’s why they can keep making more then I’m all for it! But if there are no more films, then this movie ended the series on a good note. ← Central Intelligence – Non stop laughs!